To complement our CNC cutting services, R.S. Miles & Son offers rotary grinding and Blanchard grinding metal finishing services for carbon steel and alloy steel plate, bar and parts. Our world-renown steel working capabilities include a fulltime staff of specialists that will see your project done quickly and perfectly – for single pieces or large production runs. 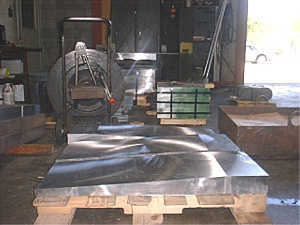 We grind and machine a variety of products that include close tolerance sheets and plates, Weldments, Forgings, and Castings. 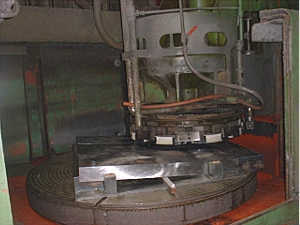 Blanchard grinding, also known as rotary surface grinding, quickly removes stock from the steel to meet the tolerance required by the customer.